One of the major concerns that prevents more players from experiencing online casinos is the lack of assurance that the casino they are playing at is fair. In the brick and mortar casinos, there are gaming commissions who insure the integrity of the game. Online, there are no such commissions which can make these assurances, which results in player concerns over cheating casinos. innovative new product that will ensure honesty and fairness in the online gaming industry. The goal of the product is to enable the player to determine if the online casino they are trusting to be fair, is indeed fair. To accomplish these, the Online Casino Analyzer keeps a detailed log of all the player's actions at the casino and then provides the tools needed for the player to analyze their results. In addition, the software pools together the results of all users of the software, creating a dataset that is large enough to do meaningful statistical analysis on and to determine if a casino is really dealing with a full deck. 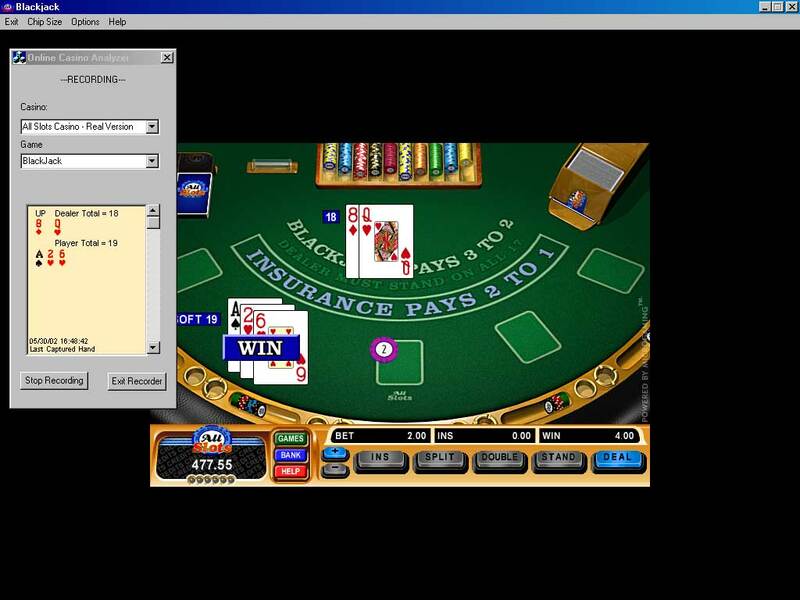 The Online Casino Analyzer records and analyzers both Blackjack and Video Poker. It also works at a vareity of online casinos including Microgaming, Cytech, World Gaming, and Playtech. The Online Casino Anayzer is currently in beta testing and is expected to be released soon. View the OCA at work! 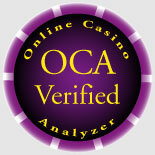 The Online Casino Analyzer consists of two main components. Filters results to search for a variety of different checks, including payout percentage and card frequency. All algorithms and analysis techniques will be open to public inspection and peer review. In addition to the collection and analyzation of real player logs, the Online Casino Analyzer will also offer to review complete player logs directly from the casino and provide that analysis along with the independant player logs. In addition, casinos will be able to present these results in their advertisiments as Verified by the Online Casino Analyzer and include our icon and links to their results on our website.